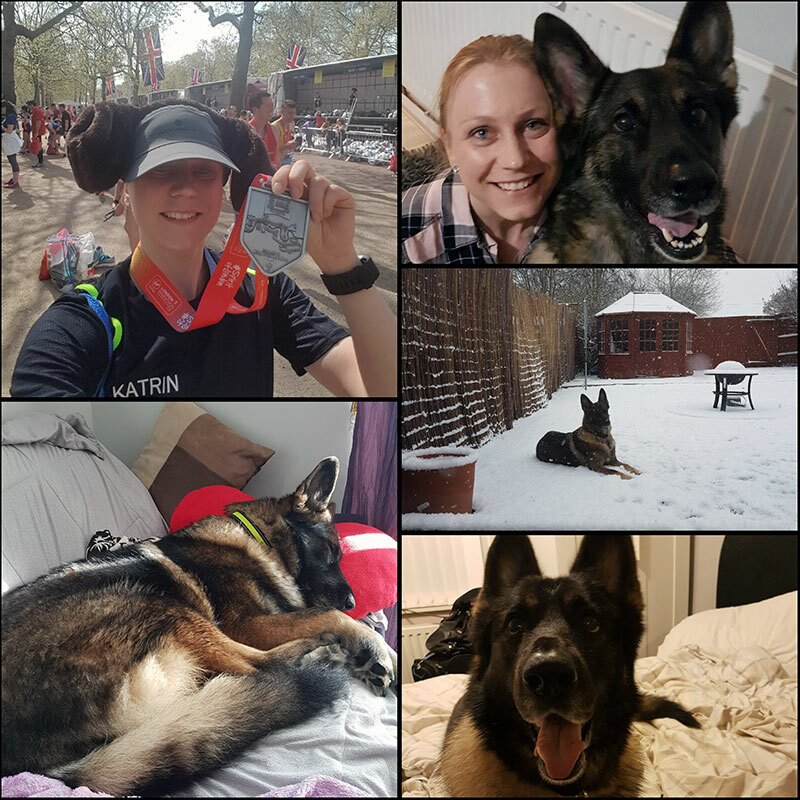 Last year, I was crazy enough to run the London Marathon. I decided this wasn’t enough and on May 26th, I will be running the Edinburgh Marathon in aid of the Sanctuary. A year ago, we adopted our dog Sadie from the Sanctuary. When we first met her, she was a very nervous and scared little pup but from the minute she walked into our garden for the first time, she knew that she was home. Since then, she has become a loveable and cuddly bear (she even knows the command “teddy bear!”), and has gained a lot of confidence at home and when we are out on walks. Every time we visit the Sanctuary, we are greeted by such a friendly bunch of people who really care about every single animal currently at the Sanctuary and want nothing more than these animals to find their forever homes, just like Sadie. This dedication to the animals is truly inspiring and I am here to do my bit to help care for these animals. Since the beginning of the year, I have already been training hard and never have let the weather or even business travel stop me from getting in those training runs. In the run-up to the marathon in May, I will be running a few events featuring the OAS logo and of course, my dog ears. Maybe I will see you there! Please note: When donating to this fundraising campaign, we use a one-off direct debit, this is not monthly. This reduces the cost of processing the payment to 1%, meaning we get 99% of the donation!